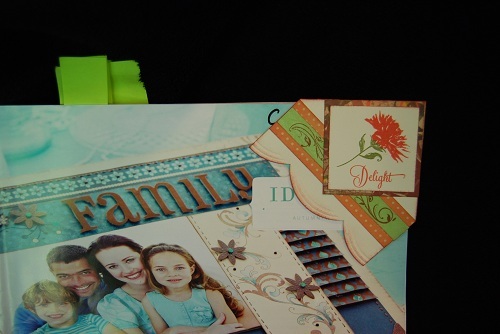 Here it is in use on the corner of our Fall 2010 Idea Book! I really like these corner bookmarks that I've been seeing all over the place! They don't take much paper to make, they are a terrific small gift item and they are downright fun! 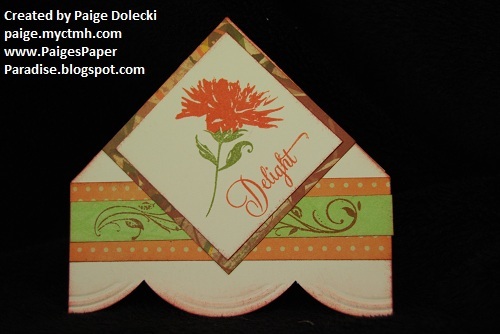 This is one that we made during our September Open House event and also at a Stamp Camp.